Bring back memories of epic surf, warm sunny beaches, and good times with family and friends – and still so many more to come. 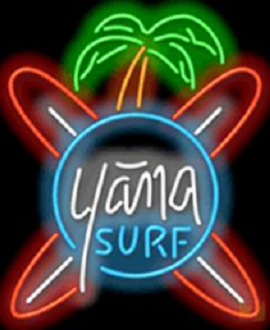 A Yana Surf neon sign will serve as a constant reminder of the sport you love. Turn the heads of your family, friends, and guests. Pump up the décor of any room. 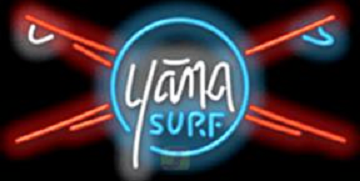 Let the world know that you are a surfer and you care.